Is it possible to piggyback on the serial flash memory IC (Omega2 board powered off), and flash the memory using the relevant pins and SPI protocol? I'm asking the question because I intend to try porting a different OS, and if I mess up, I'd have a Plan B if the U-Boot memory area becomes damaged. @fossette It's just SPI-flash, so yes, you can flash it just like any other SPI-flash. The problem you'd face is that you need to supply power to it, but then you'd also be supplying power to the rest of the Omega and it'd try to boot up from the flash -- you'd have to desolder it to prevent this. One option you could try, however, is to tie the RESET-pin up to keep the CPU in reset-state while doing this, which should prevent it from interfering. What OS do you plan to port ??? Found Winbond flash chip "W25Q128.V" (16384 kB, SPI) on ch341a_spi. As for the eeprom programmer, I could very well use another Omega2. Lol!!! 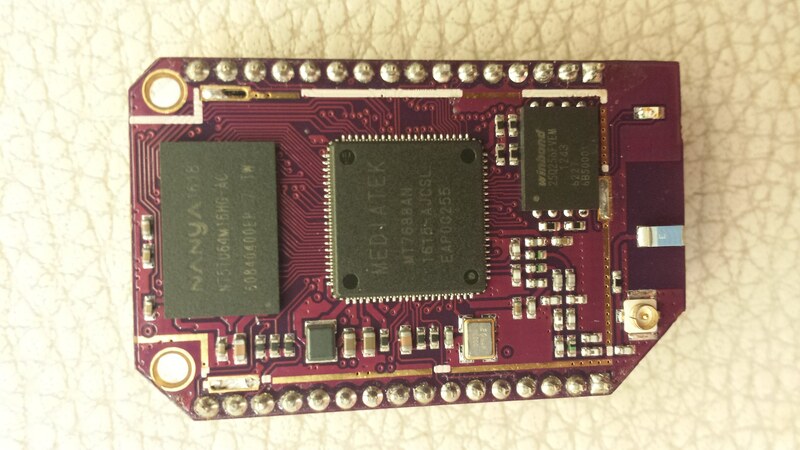 I have a similar USB programmer depicted in your photo (as a gift), but the device is unfortunately not detected in FreeBSD, but it could be in the Omega2... As for the black cube (smt 2 through hole), I didn't know that this kind of adapter existed. I ordered one a few months ago. Brilliant tool!